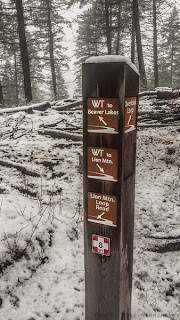 Missoula trail runner Morgan Giddings contributed the following report of a recent trip to Whitefish. 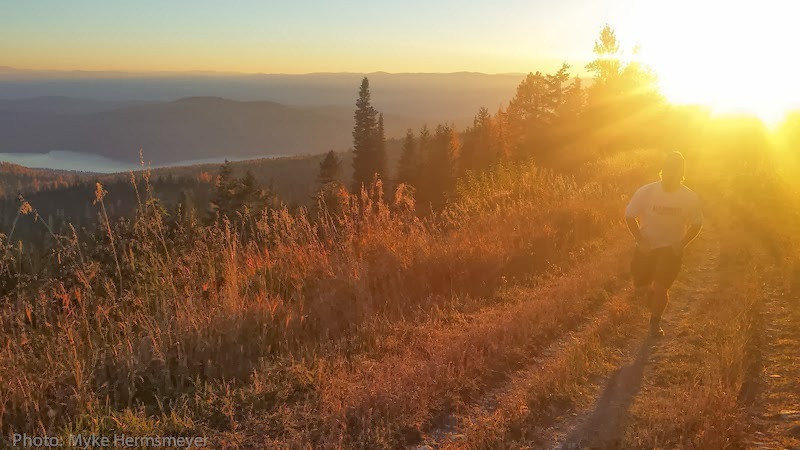 Montana is full of spectacular trail running destinations: places we go to get away, reconnect, or simply explore. 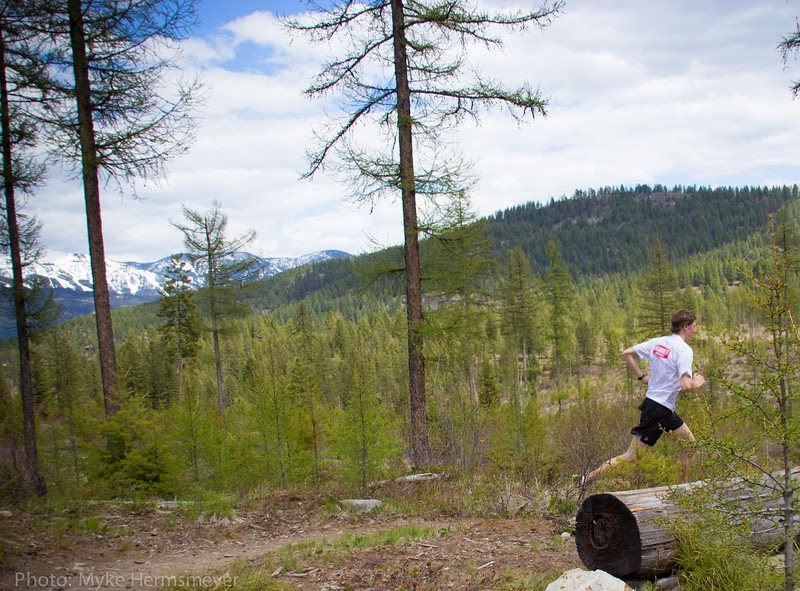 If you have a Montana running destination you'd like to tell us about, we'd love to hear from you. As always, feel free to comment on our posts or message us on Facebook. Hello, my name is Morgan and I have a good life. I have a husband, Casey, two little kids, Harry and Olivia, and I am a runner. There is nothing fancy about me or my story. I am by no means an elite or ultra runner. I have never won a race, and I probably never will. I am just a happy person who is lucky enough to live in Montana, and I run every chance I get. This past year, Casey and I celebrated our 10 year anniversary. Yes, that's right, one decade down, woo woo! Last month, we had the amazing fortune of getting away for a week without kids, with only my mother-in-law to thank. 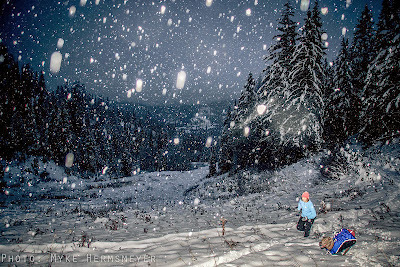 Casey and I took off on a Monday morning to Whitefish, with no real plan except for knowing that we wouldn't have to change a diaper, fill up a sippy cup, or clean cereal off the floor of our car for 5 straight, glorious days! We both share a passion for running and we don't get to do it together often enough. So what did we do with our week off in Whitefish you ask, we ran. We ran from our hotel into town every morning for coffee and muffins. We ran back. 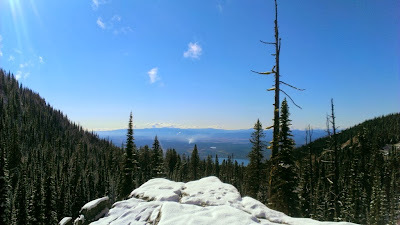 We ran to the top of Whitefish Mountain. We ran down. We ran as many trails we could find that weren't too bear friendly. We ran the neighborhoods of Whitefish and around the lake as much as we could navigate without getting lost. 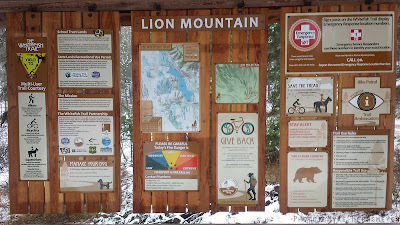 We found our favorite trail on Lion Mountain, which is part of The Whitefish Trail system. 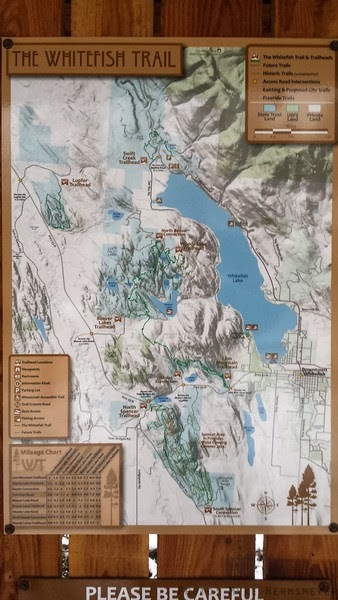 A super fun and fast track trail that winds up, down, and loops you in and out of mountain lakes. 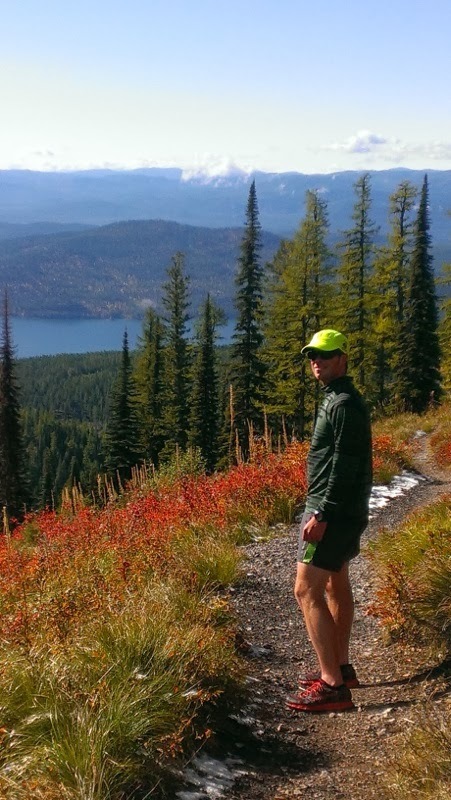 The conclusion here is that running in Whitefish is officially awesome. Casey and I were able to just run together for a week with nothing to worry about. I assume that most parents can relate with the fact that any plan you make for yourself sans children, without fail, always results in watching the clock with endless worry and guilt. "We better head back," "we have to be back in an hour," "the babysitter expects us back at 6," etc. . . Maybe it's because my kids are 3 and 1, and I am a rookie. I have never done this parenting thing before. This is my first rodeo. Regardless, I am forever grateful for my running vacation with my husband. We ran endlessly for days without worry. It was, without a doubt, cleansing for our souls. Whitefish is a guaranteed great get-a-way for outdoor adventure, without having to go too far away. Our anniversary running vacation was the first time we had ever left our children, and it was a success. Montana is a magical place and we are lucky to be here. We want to make a point to plan trips like this every year. We all should. Now, back to parenting, work, diapers, sippy cups, and running every chance I get. My good life. Interested in a Whitefish running vacation? Lodging and camping options are virtually limitless and no matter where you decide to stay, trails are never far. 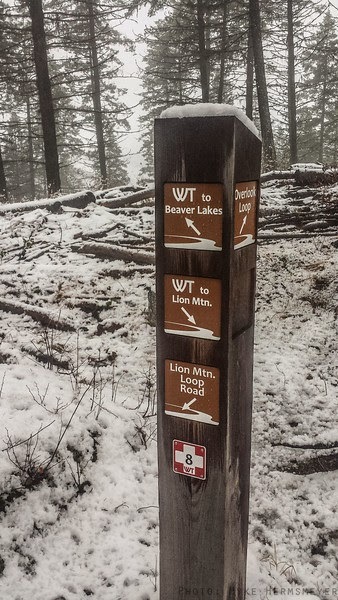 Whitefish Legacy Partners stands out among organizations that the trail running community can thank for this spectacular trail system. 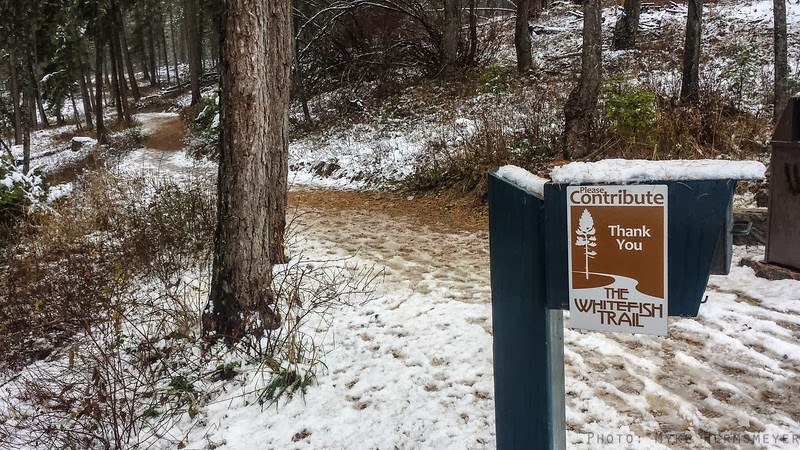 With a motto like "PLACES worth protecting" it should come as little surprise that the organization has rallied community support to build dozens of miles of well-marked trails in the local area and even puts on the Whitefish Legacy Run trail race each October. 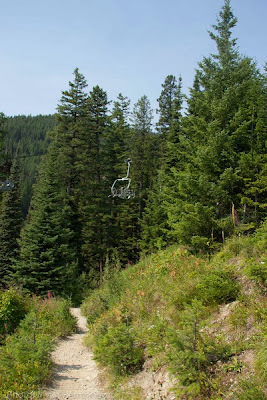 Whitefish Mountain Resort also maintains an extensive trail system accessing National Forest lands on Big Mountain. Trail work is underway to connect the two trail systems. The Lion Mountain Trailhead, accessing The Whitefish Trail system, is just 2.2 miles from downtown Whitefish. 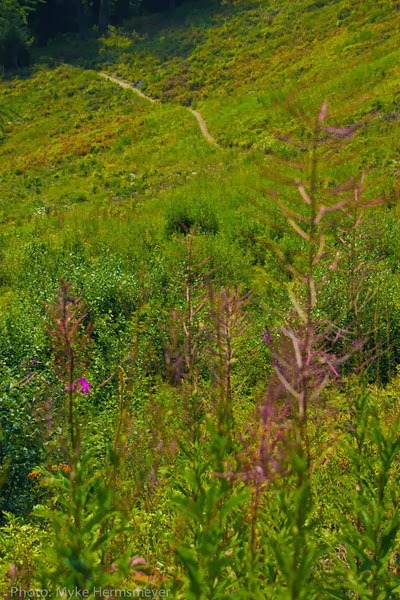 A favorite of runners and bikers alike, the trail provides miles and miles of rolling singletrack across private and public lands. The Danny On Trail on Big Mountain is a well maintained south-facing singletrack that winds mostly through the forested eastern flanks of the Whitefish Mountain Resort ski area. Other trails offer a more direct ascent of Big Mountain, but the Danny On provides a bit more mileage and plenty of variety as you make the 2500' foot climb to the summit where you'll be rewarded with views of Glacier's jagged peaks. A variation of this route is available year-round since Whitefish, unlike many ski resorts in Montana, allows some uphill traffic during ski season.